C4 Demolition Services is a leader in the industry. We are a team of highly motivated managers and staff dedicated to providing the best services available in the industry. Our Strength is generated from our commitment to our clients, our industry, our employees and ourselves. C4 Demolition Services is committed to providing its clients with high quality services while creating an enjoyable and productive working environment. We are sensitive and responsive to our clients’ needs and devoted to their satisfaction. We strive to be fair, honest, courteous and professional in all our dealings. We acknowledge our responsibility to the communities where we work and to the environment. C4 Demolition Services is committed to hiring and developing the best managers and staff available. We are dedicated to providing a working environment which allows every employee to gain job satisfaction whilst meeting the goals of the company to provide the highest quality service on a profitable basis. The safety of our staff. our clients and the general public is an integral part of our daily activities. 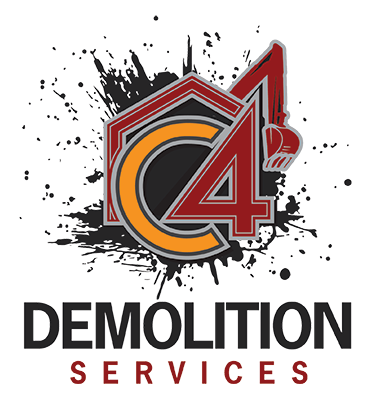 C4 Demolition Services is committed to excellence in every way, in our work ethic, in the products and services we provide, and in our relationship with our clients, employees, industry and communities.